Do you remember this post when I promised to share more of my mandala designs when they had progressed further? 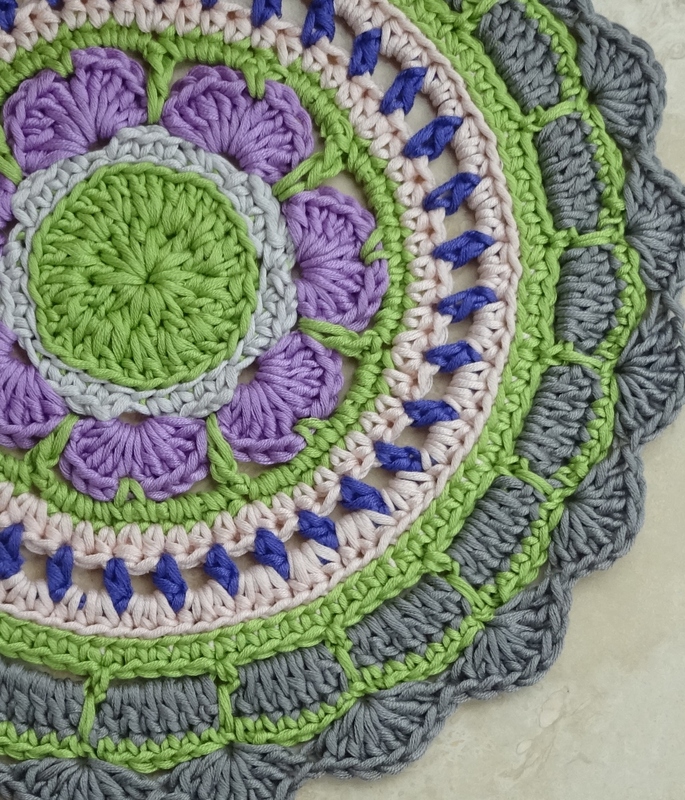 Here is the Buxton Mandala which I have just published. This is the ‘prototype’ I made in Buxton. It is made in Drops Muskat which is a mercerised cotton dk with a lovely sheen. I didn’t have many colours of this yarn with me at the time so I used only 5 colours. 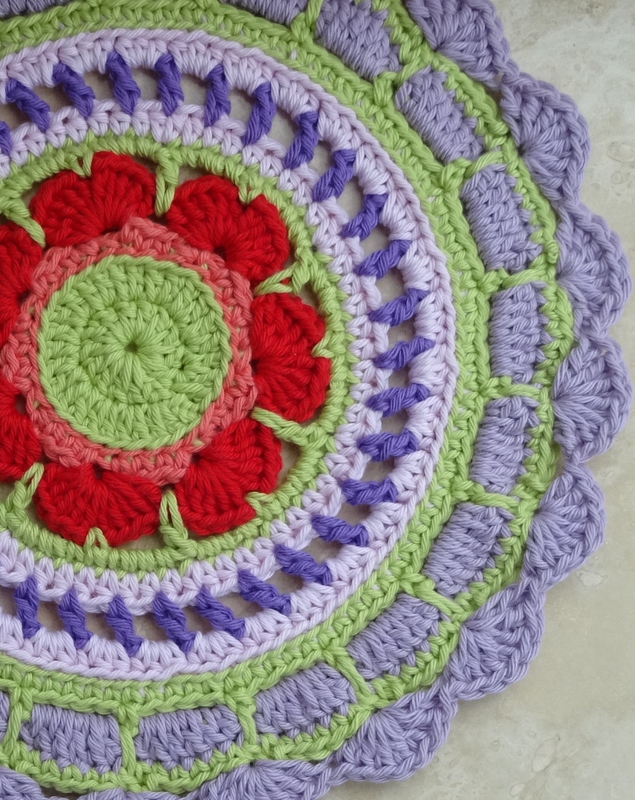 When I reworked the design I used Stylecraft Classique Cotton DK of which I had a much wider range of colours. I loved the original design so much that the only thing I changed as I reworked it was the colours and I added one more colour. Which do I like? 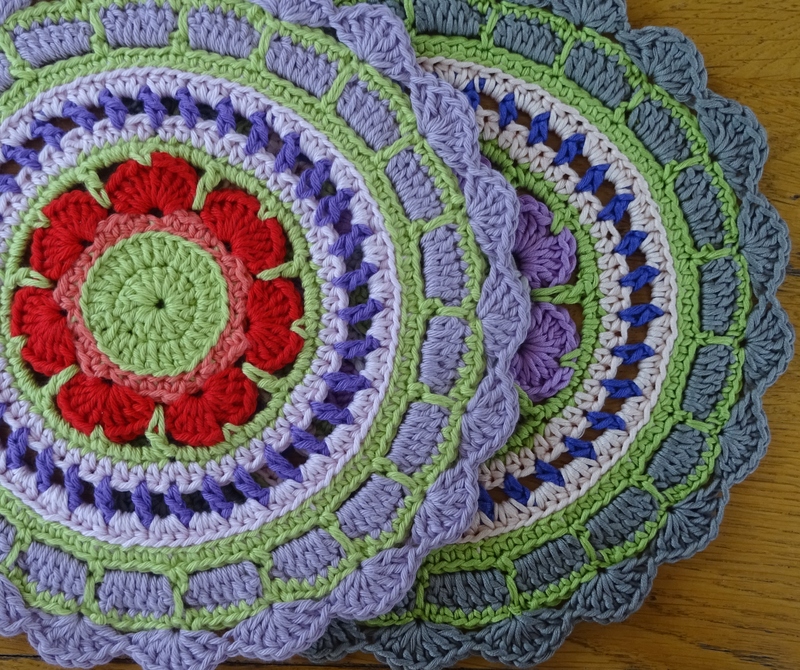 Well both – I love the colours of the Stylcecraft version and I love the sharp stitch definition of the Drops version. The pattern it is on special sale on Ravelry until midnight GMT Sunday 10th May 2015 – 50% off the original price if you use coupon code BUXTON at checkout (with apologies to EU purchasers where the coupon code will not work as EU sales are currently diverted to LoveKnitting – something that will be remedied in future).